Jessica is versatile and natural actress, particularly fond of improvisation and a spot of comedy. Every other month, Jessica presents the Silvertip Video Production Vlog which has gone from strentgh to strength in the last couple of years with her at the front. Alongside that, she has worked with the Silvertip team on a number of projects including videos presenting for Drone Safe Register, County Mall and behind the scenes on a Janet Devlin music video shoot. She was delighted to combine her love of music and singing as lead Chloe in romcom feature Love Online for Steven Cutts Productions. Other recent projects included the completion of psychological horror feature Scopia for Flynn Film Company, a featured role as Princess Margaret lookalike in A Royal Night Out for Ecosse Films and as Bernice in AD Lane’s forthcoming horror Invasion of the Not Quite Dead. Along with roles in a number of award winning short films, Jessica has also wide experience in commercial, corporate, presenting, voiceover and photographic modelling work. She has worked recently on projects for a number of household names including Tesco, British Gas, Finish dishwashing, The Mirror, Gala Bingo, Harvey Nichols – and is the regular Vlog presenter for Silvertip Films. 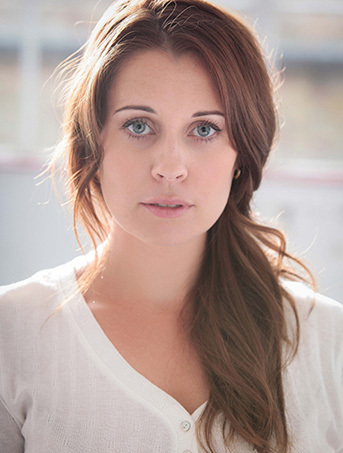 Jessica trained on scholarship in acting and musical theatre on the BA Hons. course at the prestigious Bird College. Having spent her younger years on the stage in numerous regional and national musicals and pantomimes, in recent times Jessica’s focus on screen work has kept her off the stage – but she is determined to return in the near future! Jessica's favourite film is Dirty Dancing.